Tõive Kivikas asked me to help him build a blog on the topic of leadership. He wanted to be able to have articles about him that others have published in media, mixed with articles written by himself. 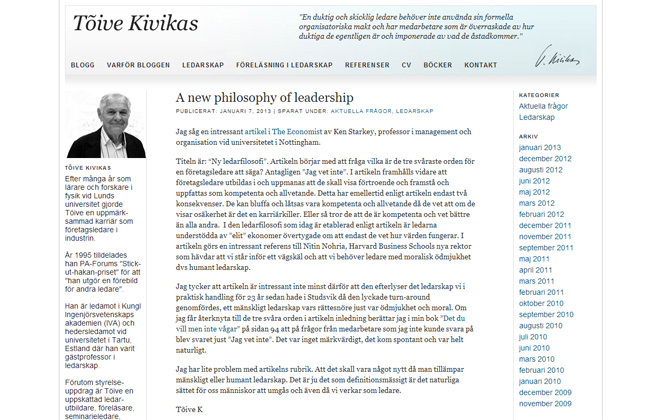 Read all about leadership (in Swedish) at kivikas.com.